Northside versus Southside – I never liked that clash. I was born on the Southside and went to school on the Northside. A foot in either camp. Never fully accepted by either side. Stupid – it’s only a small city. But it happens everywhere, I suppose. Do you think? Anyway, for some reason, people thought that all the fancy ‘cultural stuff’ only happened on the Southside and that nothing happened on the Northside. Not true at all. 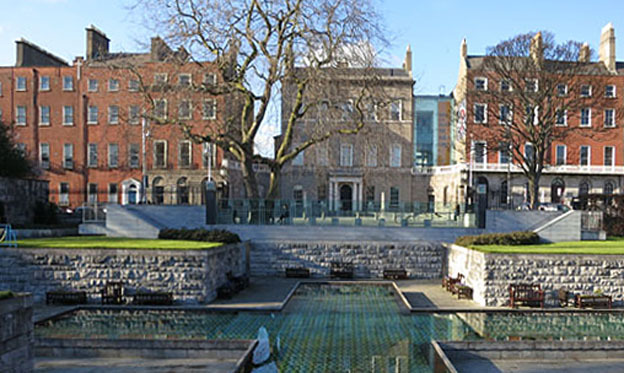 What about the Hugh Lane Municipal Gallery and the Gate Theatre on Parnell Square? – and the Lighthouse, and the James Joyce Centre nearby. But now at last it seems like things are going to change. There’s going to be a “Parnell Square Cultural Quarter”. They’re going to turn my old school Coláiste Mhuire into the new City Library. (See above, the red brick building on the left was Coláiste Mhuire, and that’s the Hugh Lane Gallery in the centre). And there’ll be a new Luas railway line passing close by. And pedestrianisation. And it’ll be “a hub for Interculturalism on an international level” (!) And Olivier Cornet will have his new gallery right there in the heart of it all. Yes, in early September 2015, he’ll be opening his new gallery and the first show will be: “Diaspora”, a solo exhibition of paintings by – yours truly! 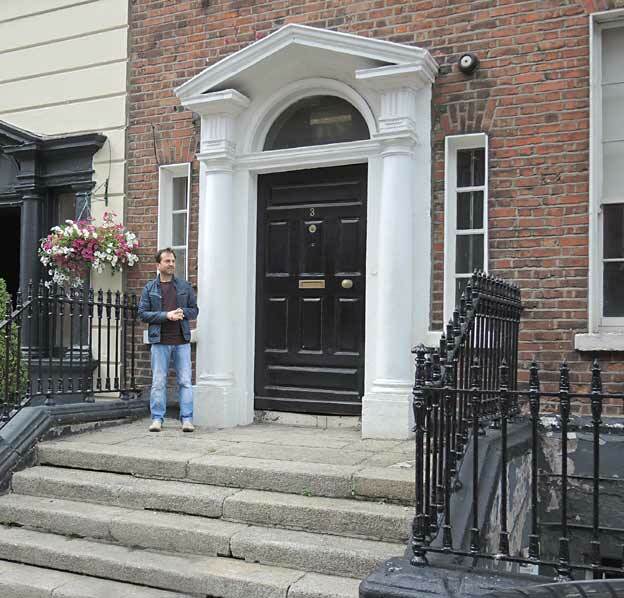 More about that in a later post but for now, let me tell you that the Olivier Cornet Gallery will be at no.3, Great Denmark Street, next door to Belvedere College. Next Beware of the artist! Congratulation Eoin! Will look forward to seeing your show in the new gallery! Nice going Eoin congratulations on the exhibition coming up soon.. I hope they include the Rotunda Hospital in any cultural history of the North side . it is about 250 years old and one of the first places to train midwives of whom your great grandmother was one (in 1901). About tunnels . I wonder what happened to the tunnel that went from the Casino Marino to a grand house in North Dublin? And it’s a very nice show, Olivier. Some very good works!! It all sounds exciting Eoin, great that the gallery is right at the centre of the quarter. That’s an imposing Georgian doorway, the brass plaque will look good next to it.